Last fall, my family was eating out too frequently. We are trying to curb that expense, and one way we do that is by buying Jimmy John’s sub bread for .50 cents a loaf. One day we were ordering subs, and I saw an old fashioned looking sign that said, “Day Old Bread, .50”. I asked if the sign was for real, and they pointed to a stack of bread and said that they sold the day old loaves for .50 each. Now, when we have an urge to eat out but don’t want to spend the money, we go to Jimmy John’s and buy 2 loaves for $1.00. There is a grocer near us that sells lunch meat for 2.98 a pound and cheese for 2.99. 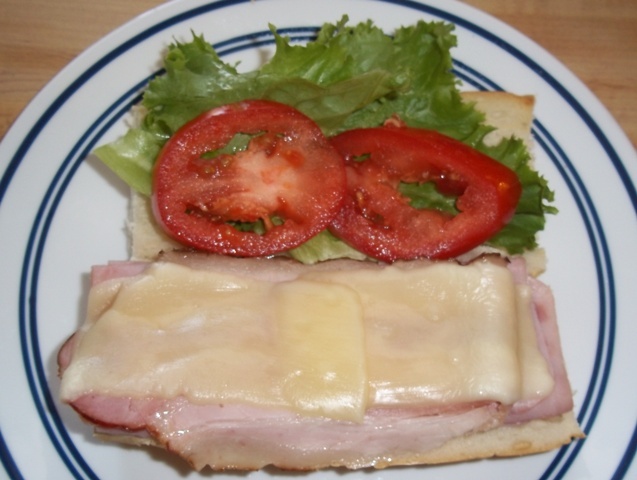 We buy a couple varieties of lunch meat (typically only 1/4 to 1/2 pound of each to keep costs down) and create our own subs at home at a fraction of the cost. However, it feels like a splurge, so the urge to go out is satisfied. Our family doesn’t usually eat the entire two loaves, so the next day I grind up the remaining bread in the food processor and then store the bread crumbs in the freezer for use in recipes that call for bread crumbs. Works for me! Are we talking about the same Jimmy Johns? Because here in Omaha they give it away FREE! 🙂 If you purchase a sandwich, I always ask for extra day old bread and then I make subs for my family with lunch meat and cheese we already have at home. Their bread is so good too! FREE? That is even better! No, here they charge .50 a roll. I had no idea that sign was serious! Now I’m dying to go to Jimmy John’s and ask about the bread. I love their sandwiches and I think the bread is what makes it!! Well okay the cheese and meat too…….Mmmmmmmmm…… makes me hungry. Costs 50 cents here too but I hate it. Unless you buy the bread within a couple hrs of being made, it’s so tough it rips up your mouth. They don’t even keep it covered. We used to toast it, so that disguised any dryness.